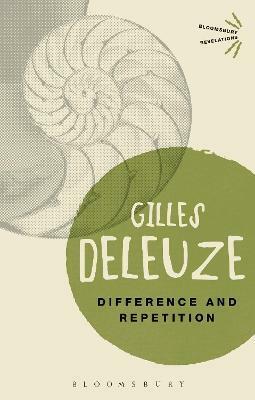 Since its publication in 1968, Difference and Repetition, an exposition of the critique of identity, has come to be considered a contemporary classic in philosophy and one of Gilles Deleuze's most important works. The text follows the development of two central concepts, those of pure difference and complex repetition. It shows how the two concepts are related, difference implying divergence and decentring, repetition being associated with displacement and disguising. The work moves deftly between Hegel, Kierkegaard, Freud, Althusser and Nietzsche to establish a fundamental critique of Western metaphysics, and has been a central text in initiating the shift in French thought - away from Hegel and Marx, towards Nietzsche and Freud.